He is one the richest Indian politicians, having declared his assets at Rs 680 crore in 2014 election affidavit — he was elected from Guntur. 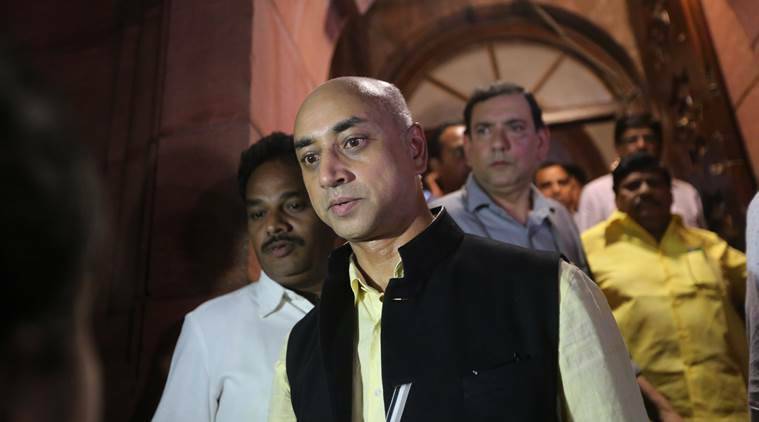 An industrialist who has won several ‘best CEO’ awards, Galla Jayadev, 52, the TDP MP who initiated the debate on no-confidence motion, is known back home for not shying away from competition. Managing director of the Rs 2,500-crore Amara Raja Group, known best for the ‘Amaron’ brand of car batteries, Jayadev, according to a friend in the Congress, was “instrumental in taking the competition head on in the automotive batteries segment and make Amaron among the top three (brands)”. He is one the richest Indian politicians, having declared his assets at Rs 680 crore in 2014 election affidavit — he was elected from Guntur. Jayadev’s mother Galla Aruna Kumari was a three-time legislator and a minister in the Congress government of united Andhra Pradesh. His grandfather, Paturi Ragajopala Naidu, was a two-time MP from Chittoor (1977-84), representing the Swatantra Party before rejoining the Congress. He joined TDP before 2014 elections and soon became a close confidant of party chief N Chandrababu Naidu. Jayadev and his family lived in the US for nearly 25 years. There, he completed Masters in Political Science and Economics from University of Illinois. He returned to Andhra Pradesh in 1992 and joined his father Galla Ramachandra Naidu, who founded the Amara Raja Group, and helped set up the group’s sales and marketing network. 1 Who is TDP MP Jayadev Galla? 2 Who is Swami Agnivesh? 3 Who was Georges Lemaitre?